Good evening everyone. Thank you for stopping by tonight. For this layout I wanted to try and use some pictures of me in it. I usually do my family and friends and rarely do any with me in them because I am usually the one that is behind the camera. 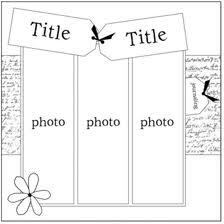 I also thought because Mother's Day is right around the corner I would use a few different pictures. 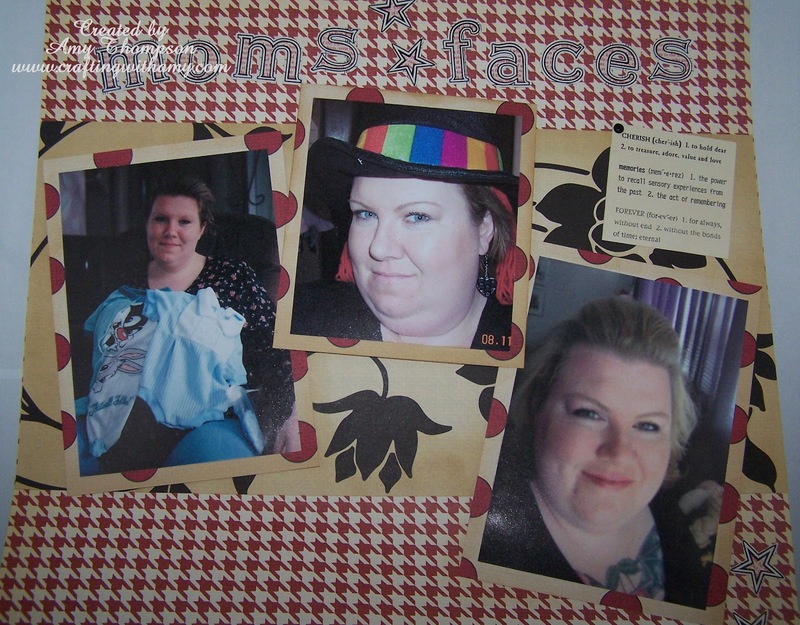 The far right picture is me at my baby shower with my son who is almost 15 years old (wow how young I look), the middle picture was a day in Monterey where my daughter and I were snapping pictures of ourselves wearing funny hats, and the left picture is just a random picture I took before we left for a party. Below is the sketch that I had to follow and here is my take on it. I just printed up the 3x5 pictures then cut a frame around each picture and inked the edges with Vintage Photo. 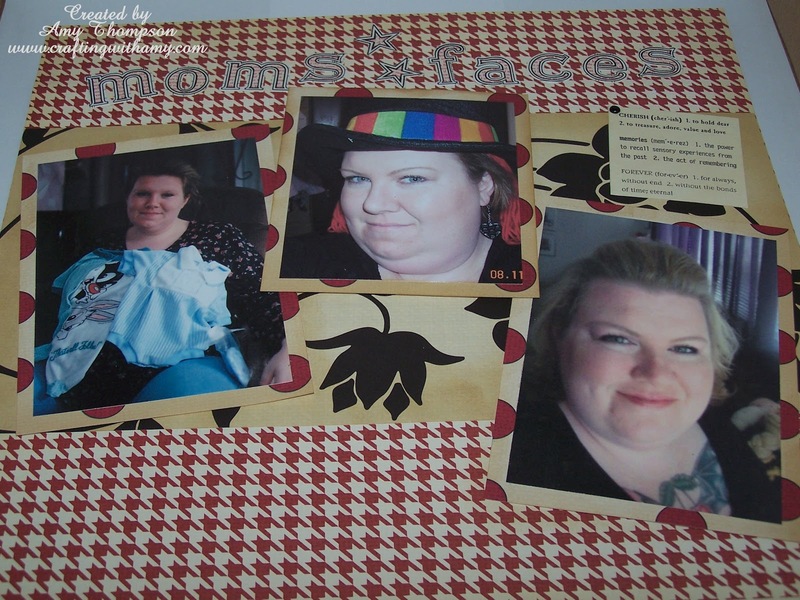 Then I used some pop dots to give the pictures some dimension and you can't really see in the picture but above all the photos it says "Moms faces" and these stickers also came in this Jenni Bowlin kit. I then found a cute sticker that has some definitions about memories, cherish, & forever. Thank you for stopping by. I hope you enjoyed today's layout. **Don't forget to check out this weeks giveaway from Crafter's Companion and the Crafter's Companion May challenge here. Great layout! 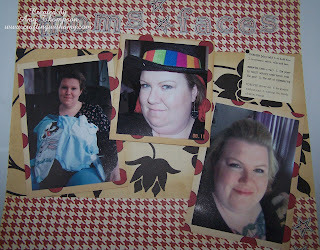 What a great idea to do a page with pictures of yourself! I need to do more of that, im usually behind the camera too! :) Thanks for joining in on the Scrappy Monday Challenge with MCT! Happy to be a new follower! love your take on the sketch! thanks for playing at My Creative Time's Scrappy Monday Challenge!